The Eurostar Ski Train to the Alps is the most direct way of getting from London to Moutiers, Aime and Bourg St Maurice stations, which service resorts in the Tarentaise region of the French Alps. It departs London every Saturday morning (and stops at Ashford International too) and returns the following Saturday morning from the Alps. Travelling this way is a lot of fun. The train could probably do with a few more table seats in Standard Class, while in Standard Premier every seat has a table seat. There is a cafe bar , a happy atmosphere and compared to flying or driving it is easier, more enjoyable and frequently quicker too - door to door. This is a new film that Snowcarbon founder Daniel Elkan made about it, commissioned by Eurostar. Being direct, this is the simplest of journeys. You get on, and 7-8 hours later you get off. In the Alps. Where all the snow is. Yay. It's a fair bit of time to kill, but there are lots of fun or useful ways to spend it, as you'll already know if you travel on this train. It's a smooth, comfortable journey, the cafe bar is always lively and hhas a nice ambience, and however you spend the time you are guaranteed to be having a better experience than sitting around at airports or on long transfers. You can find out more about what it's like on board, and also read what other skiers say. 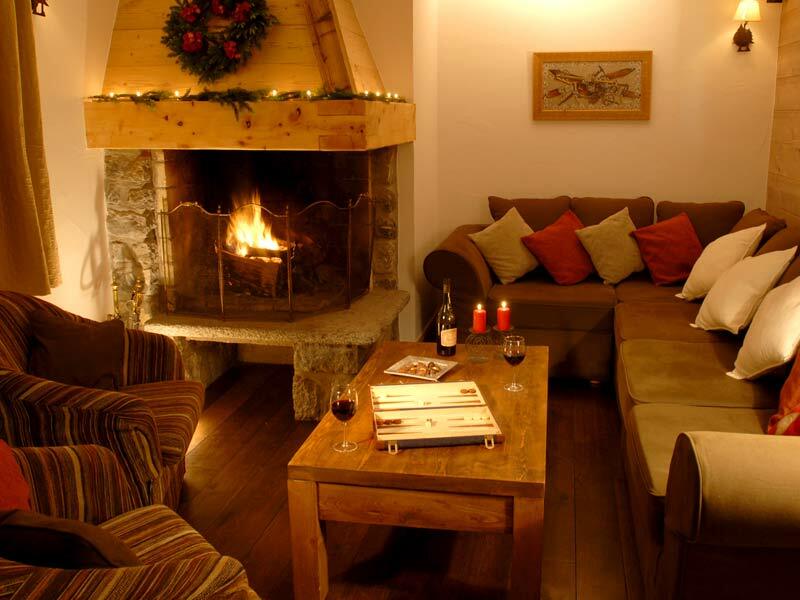 Once you arrive, all you have to do is make the relatively short transfer the train station to the ski resort. These transfers are typically between 25 minutes and 45 minutes, and are far shorter than airport transfers - which can take 1.5 - three hours - or even longer. "Travelling to the Alps, it never fails to impress on me how much children love the journeys. Walk up and down any train and you'll see very happy families - train journey really suit children - as well as adults. I thought it would be interesting to make a film about what children themselves think of the journey. So at Easter I took my camera to St Pancras and got on board the daytime Eurostar Ski Train. The children interviewed in this film were all found on location in St Pancras and on the train. They had a lot to say about the journey - and skiing! Indeed, they can teach us a thing or two about how to have fun when travelling by train to the Alps. New Sunday - Sunday holiday option at Feb half term for 2019? Normally, the direct Eurostar Ski Train services are suitable only for skiers whose holiday dates are Saturday – Saturday. However, last season Eurostar added ran one extra service, serving Sunday-Sunday holidays, at February half-term. The outbound trains was overnight, departing St Pancras on the Saturday eveing, arriving in the Alps early on the Sunday morning. The return journey was daytime, departing the Alps on the Sunday morning and arriving back at St Pancras in the afternoon. However, it's very difficult to predict whether Eurostar will offer that for the 2018-19 season, and Eurostar likes to holds its cards very close to its chest and say nothing, much to the frustration of skiers trying to plan, and to those organisations trying to promote rail travel to the Alps. How much does the daytime Eurostar Ski Train cost? When can you book the Eurostar Ski Train 2018-19? Tickets for independent travel on the daytime and the overnight Eurostar Ski Trains will go on sale middle of July 2018 for all dates of the 2018-19 winter season. 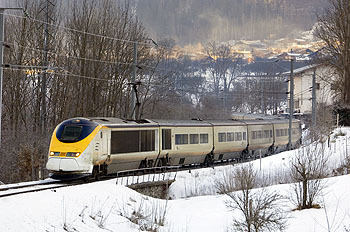 On our unique Live Ski and Snow Trains Price Check page you can view prices (updated everyday) for the Eurostar Ski Trains (and other journeys too). However, although independent ski-train fares are not on sale yet, ski holidays with rail travel included, from ski tour operators, are already available to book. Click here to view them, or if you would like some advice on destinations and tour operators, ask Snowcarbon founder Daniel. 1. If you've booked a rail-inclusive ski package from a ski tour operator, your transfer will normally be included in the package. 2. If you've booked an independent chalet, the chalet company may be able to offer to pick you up from the train - check what they charge for this service. 4. You could book a bus transfer (see table below) if the bus times connect conveniently with the Ski Train (they don't always - but we at Snowcarbon are campaining to change that). The prices below are averages, sourced from a variety of local taxi-transfer companies. Tickets for independent travel on the daytime and the overnight Eurostar Ski Trains will go on sale mid July 2018 for all dates of the 2018-19 winter season. 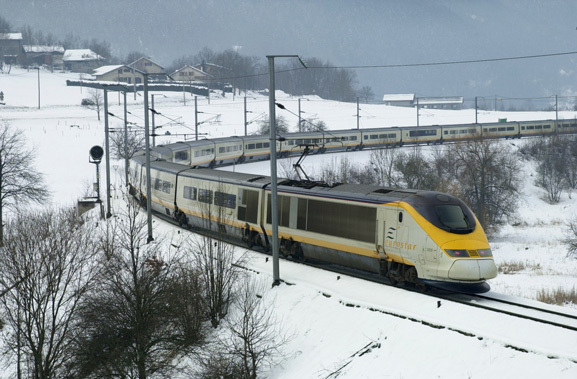 The Eurostar Direct Ski Train is simple to book online. If you already know where you want to go and are travelling independently, you can book the Eurostar Ski Train on Eurostar's website. If you are a group of 10 people or more, then you can register in advance for group tickets for the Eurostar Ski Train - see our guide to how to book group train travel to ski resorts in the Alps. One of the best ways to book the Eurostar Ski Train is with a rail-inclusive package from ski tour operators. The train travel costs about the same price as flights - and has transfers from station to resort included.You can visit the ski train holidays page to view ski holidays by train from a number of tour operators. You can also find out more about how to book the Eurostar Ski Train in our guide to booking ski holidays by train.